» Aerial view looking toward the sea at Bellows Field, Oahu, Hawaii, Oct 27, 1941. 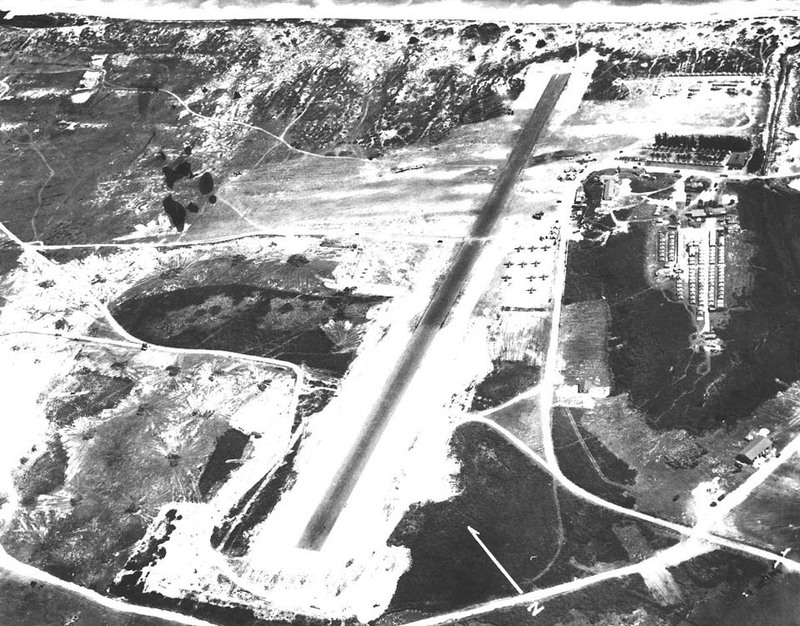 The airplanes on the ramp are probably O-47 Observation Aircraft of the 86th Observation Squadron. This photograph has been scaled down; full resolution photograph is available here (960 by 751 pixels).